Part 2 was ALOT and fingers crossed if you turn up to this one then Part 3 will be just as good. 07525 350126 is you if you would like to get some advance tickets for the cheapness of £5. We’ll even deliver them to your door, providing your not living in somewhere like Manchester. 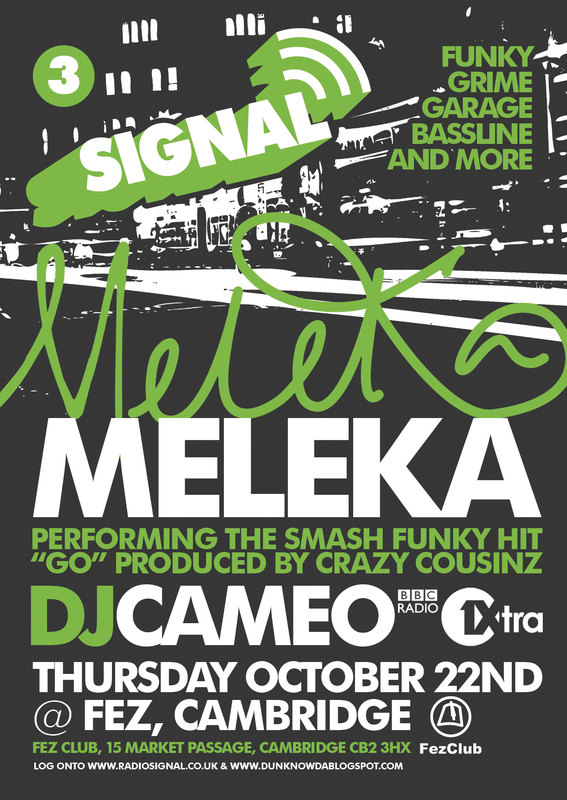 New Radio Signal mix soon come so be patient for that. 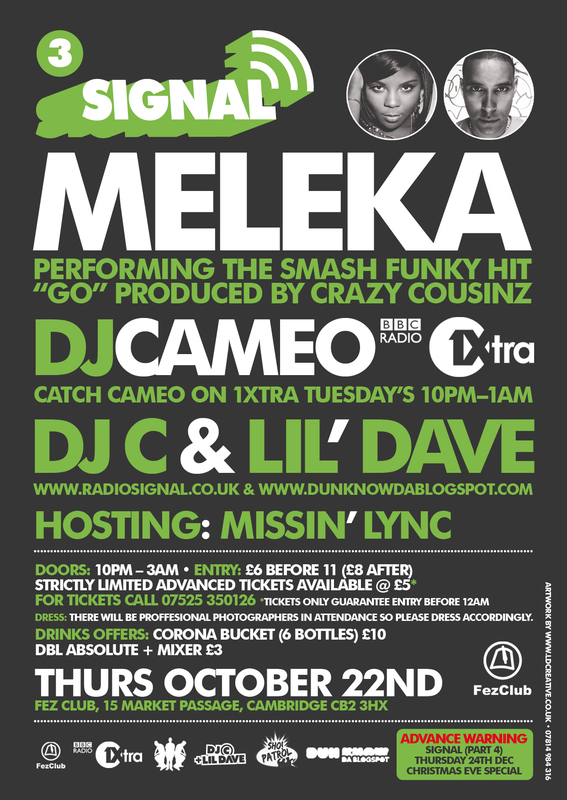 This entry was posted on September 5, 2009 at 3:10 pm and is filed under Parties with tags Bassline, BBC 1Xtra, Cambridge, Crazy Cousinz, DJ C, DJ Cameo, Fez Club, Funky, Girl Girls Girls, Go, Grime, Lil Dave, Meleka, missin lync, October, sho patrol, Signal, UK Garage. You can follow any responses to this entry through the RSS 2.0 feed. You can leave a response, or trackback from your own site.